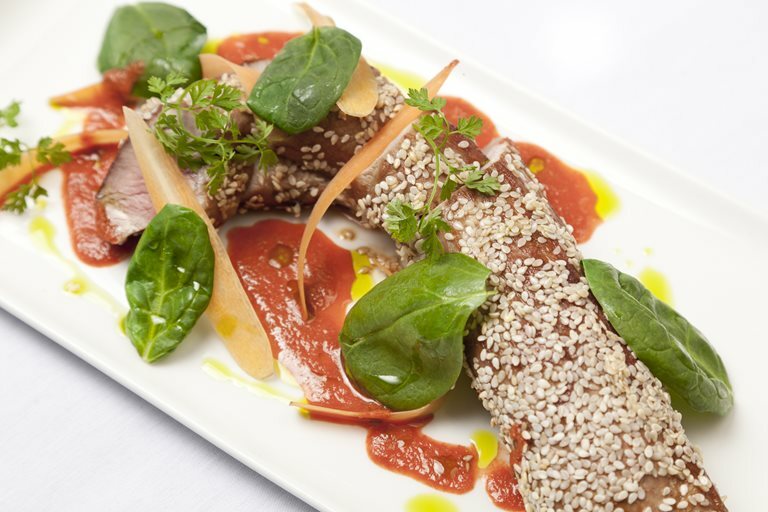 This pork fillet recipe from Galton Blackiston is absolutely packed with flavour. The carrot and ginger sauce in the recipe adds a sweet spice to the pork, which is deliciously coated with honey and sesame seeds. Despite its remarkable presentation, this pork dish is simple to prepare at home for a weeknight meal.